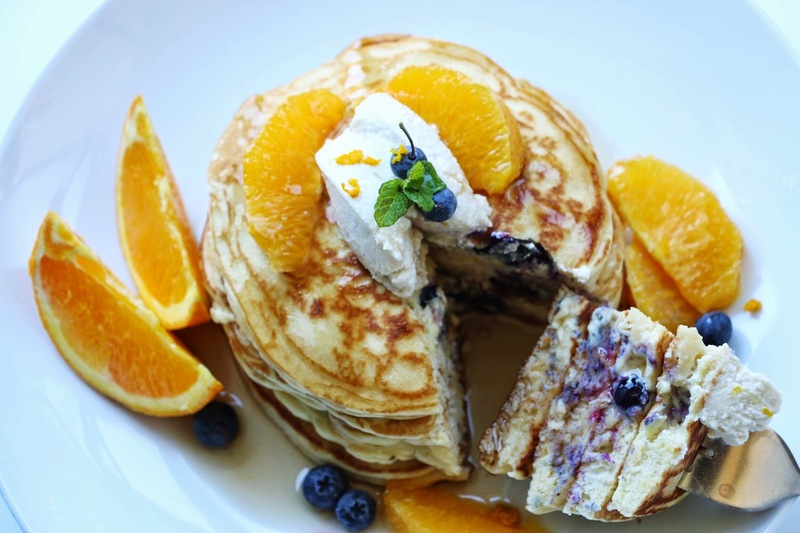 My favourite breakfast at the Shangri La hotel in Toronto are the blueberry pancakes with orange-infused ricotta cheese. When I got the craving for it, I decided to make my own version. 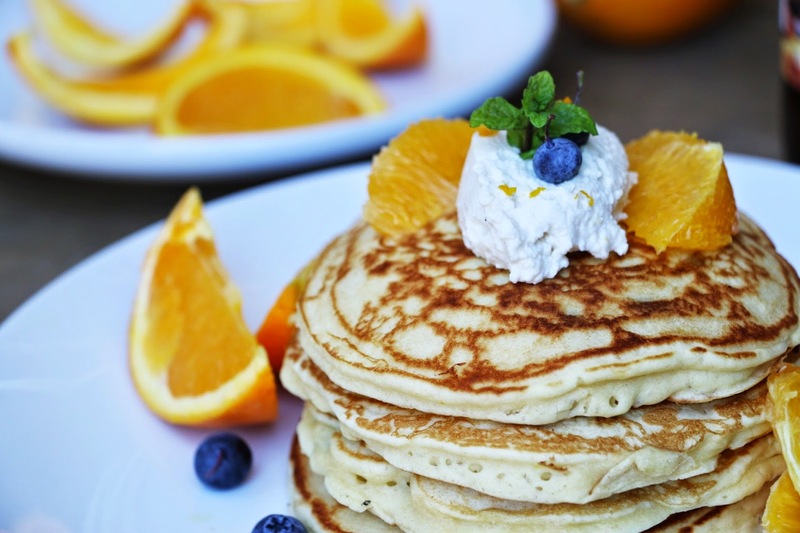 The salty ricotta cheese balances the sweetness of the orange & maple syrup. Combined with tart blueberries, it is extemely satisfying. 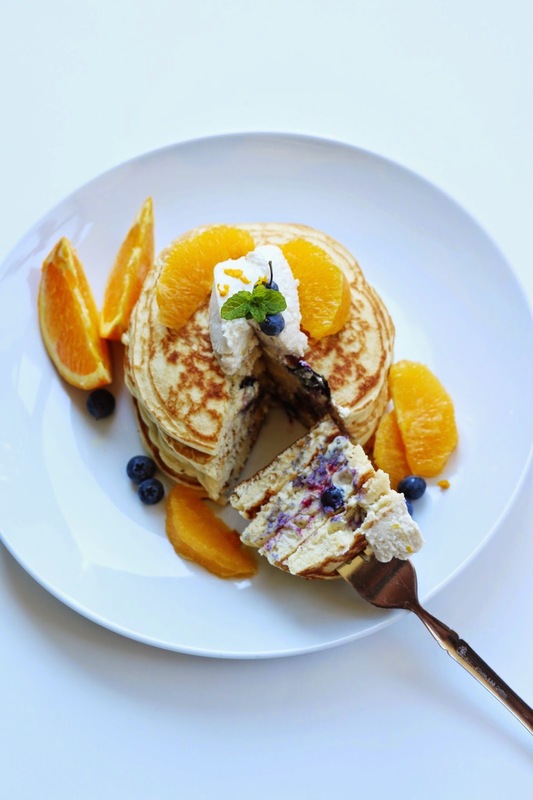 As package instructions state, add water to the pancake mix & whisk until smooth. Grate orange zest into pancake mix & reserve some for garnish. Add blueberries to batter & fold in gently. Remove orange peel & remove orange segments. Squeeze two orange slices into the batter. 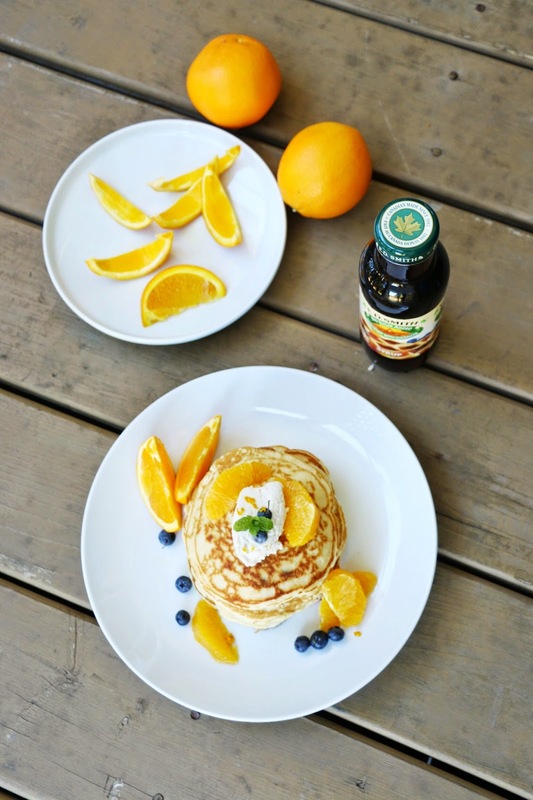 Using a ladle, pour pancake batter onto griddle to make the same size pancakes. Flip when bubbles form & set aside. 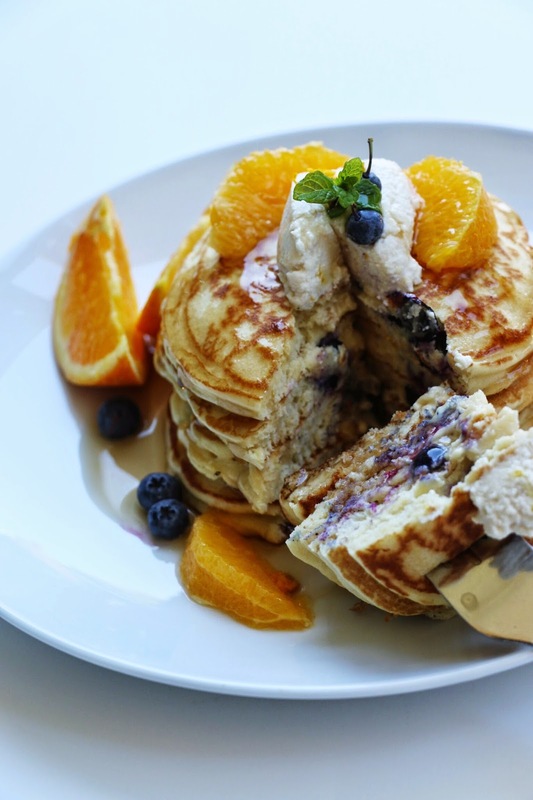 Top pancake stack with ricotta cheese, orange slices, orange zest, & blueberries. 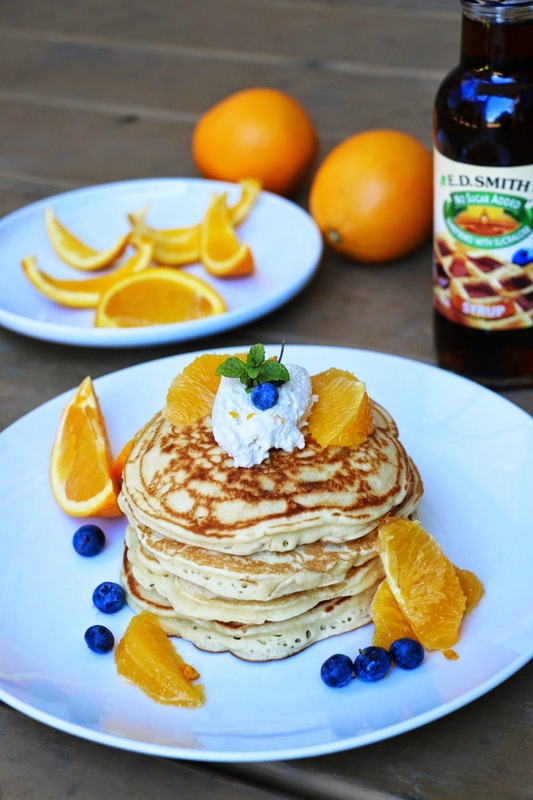 Drizzle with maple syrup & garnish with mint.